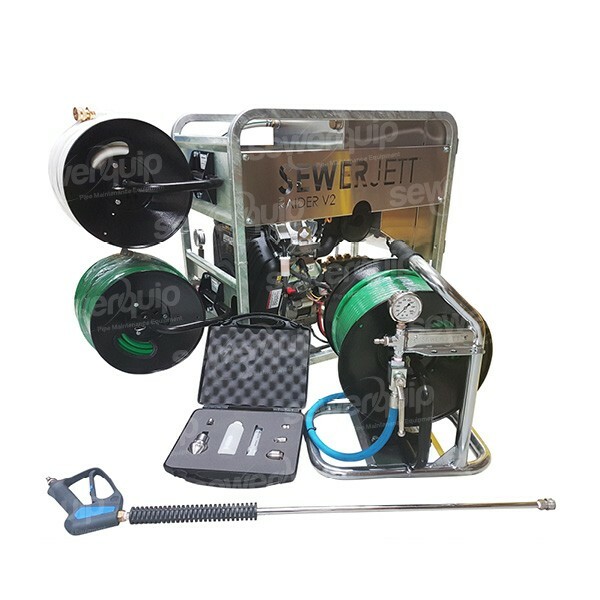 The new SEWERJETT RAIDER V2-4 is a specially designed ute mount water jetter that can be easily mounted to your vehicle without taking up valuable space. The RADER V2-4 comes complete with all the accessories required to effectively start cleaning drains. With twin reels mounted directly to the unit, mounting to your vehicle is a breeze without the expensive fit-out required with remote reels. 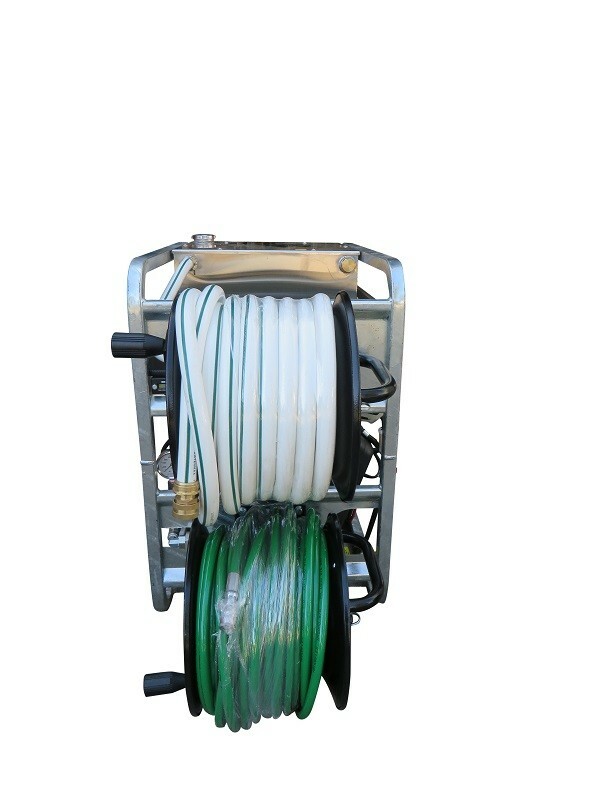 One reel houses the 25m of 19mm water feed hose, the other 60m of high quality jetting hose. 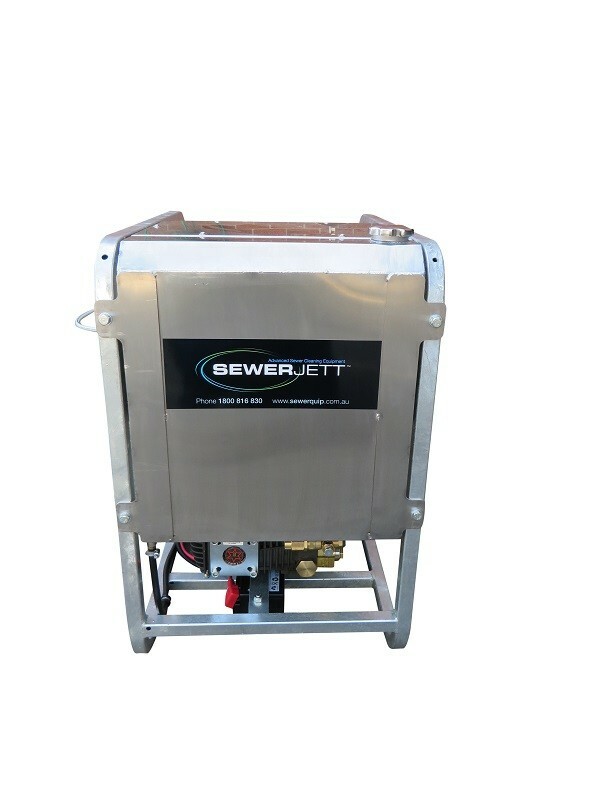 Simply bolt this impressive unit down to your ute, truck, trailer or van and you are ready to start professionally jetting those blocked drains! 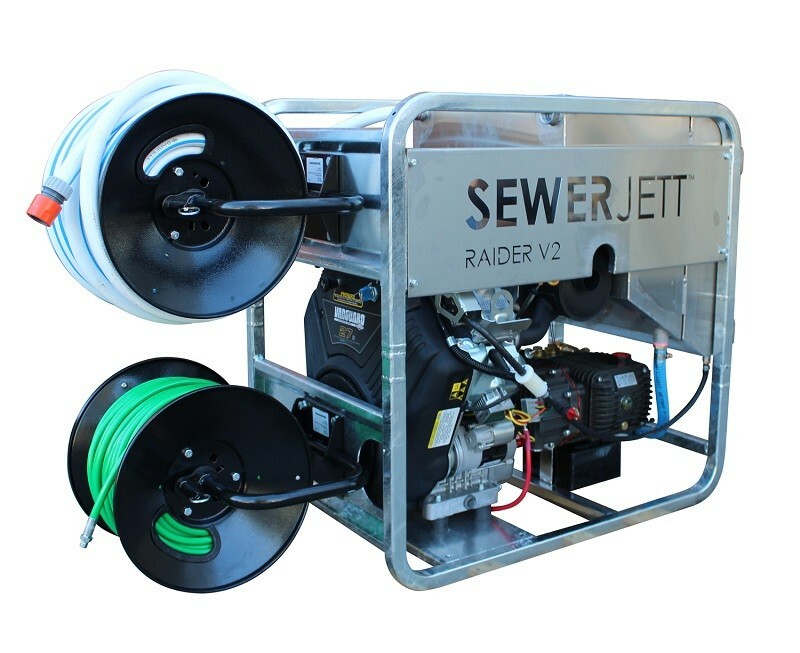 The RAIDER V2-4 water jetters are manufactured in our Sydney warehouse and we ship Australia wide with overnight delivery to most major cities on the east coast like Sydney, Melbourne, Brisbane and the Gold Coast. Genuine Vanguard v-twin 4 stroke engine. Huge 31Lpm flow easily clears 50-300mm drains, with ample flow to run a Rootax™ Nozzle for cutting tree roots. High pressure and low pressure garden feeder reel fitted to unit. 55L 304 Stainless steel break tank with low water kill switch 25L 304 Stainless steel fuel tank will not corrode or crack up in the sun like plastic fuel tanks. Optional wheel kit for portability. Genuine Vanguard V-twin Electric start 4 stroke engine for a long trouble free life.